Peas are a great choice to include in your diet. First, they are easy and inexpensive (but often overlooked) sources of plant-based protein. Just one cup of green peas provides 8g of protein and on top of that it much easier to digest than beans and other legumes. 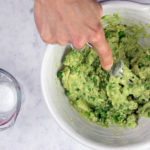 The second awesome benefit of green peas is their mild sweet flavor, which makes them quite versatile and easy to incorporate into all sorts of dishes. Peas mix well with nearly anything and provide your body with a variety of vitamins and minerals such as vitamin C which is involved in the production of collagen, thus helping to keep our skin firm. Being a powerful antioxidant, vitamin C is well known for fighting infection, preventing colds and flu, and building up disease resistance. So here you go, we’ve given you many good reasons why you might want to include more green peas into your diet. Super quick recipe packed with nourishing ingredients. Provides a source of protein, healthy fats, Vitamin C, E, and K, it's quite satiating and supports healthy weight loss. If using frozen green peas, place it in a glass cup or bowl and cover with hot water. Set aside for 10 min. Meanwhile cut avocados in half, remove pit, scoop the inside of the fruit into a medium-size bowl. Add lime juice and salt. Mash all together with fork until creamy consistency is achieved. 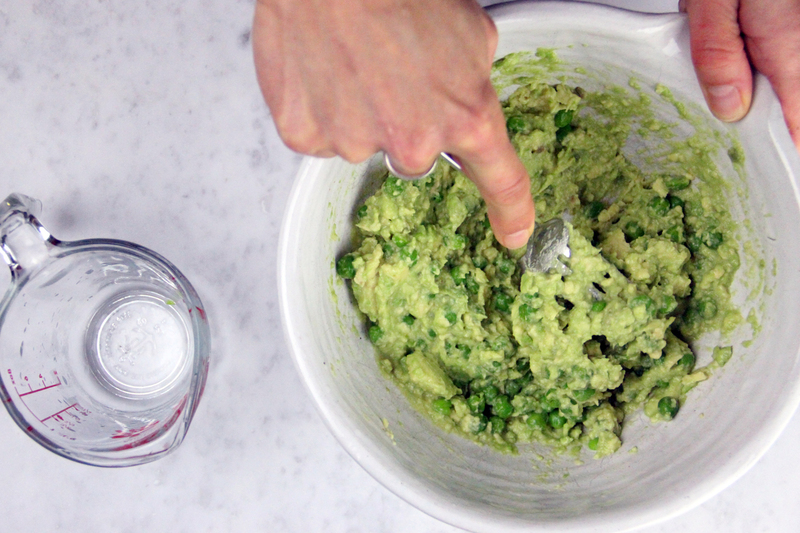 Drain the defrosted peas and add it to the avocado bowl. Top with chopped fresh herbs of your choice (cilantro, parsley, mint, chives). Serve immediately or let sit in a fridge for up to 1h to soak up the flavours.